Federal crimes are significant in nature. You may have heard the saying, “Don’t make a federal case out of it,” which means not to make a small issue into something larger and more serious. Unlike other crimes, if you are suspected of a federal crime, a long and thorough investigation by the FBI may be under way. It is possible you will be unaware of the investigation until charges are filed against you. Any crime that violates federal law (as opposed to state law), or a crime that takes place on federal property, is a federal crime. The consequences of a federal crime conviction include prison time, harsh fines and community service. Those accused of committing federal crimes are generally tried in federal district courts. Judges who preside over the district courts are appointed by the President, with the advice and consent of the Senate, and must strictly adhere to federal sentencing guidelines. Don’t risk your freedom and acquire a permanent criminal record that could ruin your reputation and wreak havoc with your employment or housing situation. An experienced San Diego criminal defense lawyer is necessary to protect your rights and provide an aggressive defense against federal criminal charges. 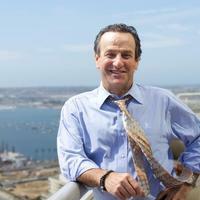 Michael Berg has successfully represented numerous clients in San Diego against charges related to federal crimes. He is skilled in the federal courts and has the federal criminal defense expertise that is so important in serious federal matters. For a free consultation on the facts of your case, call San Diego criminal defense attorney Michael Berg today at (619) 239-2186.